This is a slightly edited version of a post originally published on Mark Braggins’ personal blog. I’m an enthusiastic supporter of the adage “go where the people go” if you want to connect with customers and service users. I believe it applies equally – if not more – in the virtual world, than the physical world. 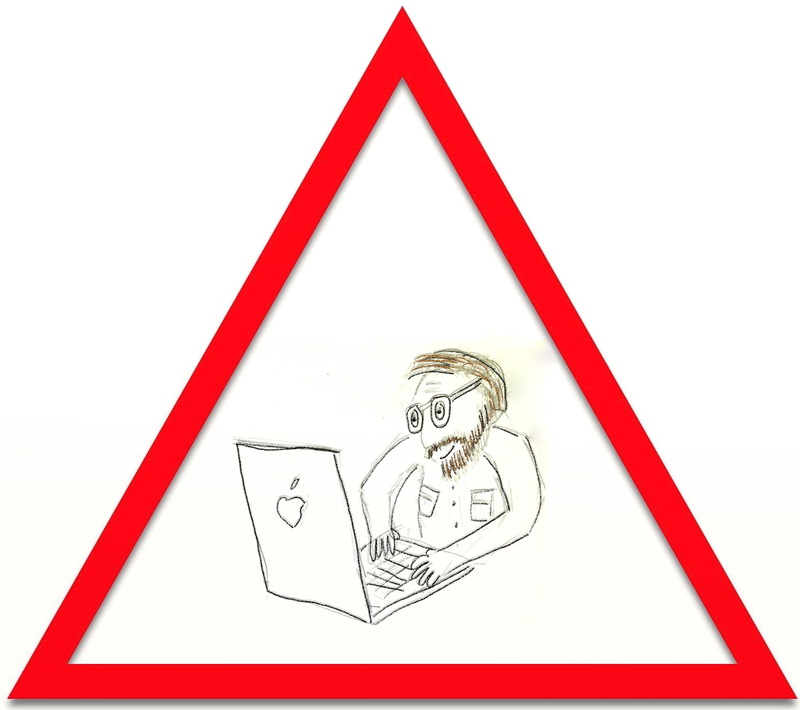 I don’t pretend to be an expert – far from it – but because I keep on banging on about social media, colleagues have started asking me about it. One of the questions I really struggle with is: “what is the actual take-up of social media in Hampshire?” (which is where I live and work). This is the first in what will probably turn in to a series of posts documenting my search for some answers. To briefly set the scene, Hampshire is a large county in the South of England, covering around 1,420 square miles. Major cities include the historic capital of Wessex: Winchester, and the major ports of Southampton and Portsmouth. Most of the county falls within 25 miles of Winchester, which is handy for reasons I will explain in a moment. If you want more detail on Hampshire, there are loads of stats and other information on the County Council’s Facts and Figures web pages. This is only a small selection, and there are many colourful infographics charting the success (or otherwise) of the bigger social platforms like Facebook, Twitter, Pinterest, Youtube and LinkedIn. The trouble is, there’s little – if any data – available publicly at anything more detailed than country-level. Some of the infographics are also of pretty dubious quality, and it’s getting difficult to know which you can trust. I therefore decided to have a go at gathering some data myself. I’ve started with the platform with the largest number of users worldwide: Facebook. Please don’t rely on any of the number in the following section, as it’s all work in progress. If the estimates of a national Facebook penetration mentioned above are correct (around 48.6%), and with a population of around 1.7 million, we might expect approximately 826,200 Facebook users in Hampshire*. I’m not personally a big Facebook user – I do have a profile, and sometimes venture in to Facebook-land to comment on friends or relatives updates or upload the occasional photo – but I’m by no means a Facebook native. Having tried and failed to find published sources, I had a go at searching within Facebook, but didn’t get very far. Thankfully, there’s a brilliant resource: The Digital Engagament Guide which is full of ideas and practical help for digital and social media in the public sector. I submitted a question through the web site and a couple of days later the answer was published. The answer was pretty simple – ‘pretend to be an advertiser’. Kudos to Dan Slee who shared this tip originally. You just have to fill in a few fields like country and city, and then select any other criteria you’re interested in like gender, age and interests. I’ve had a go at collecting data for users within 10, 25 and 50 miles of Winchester. 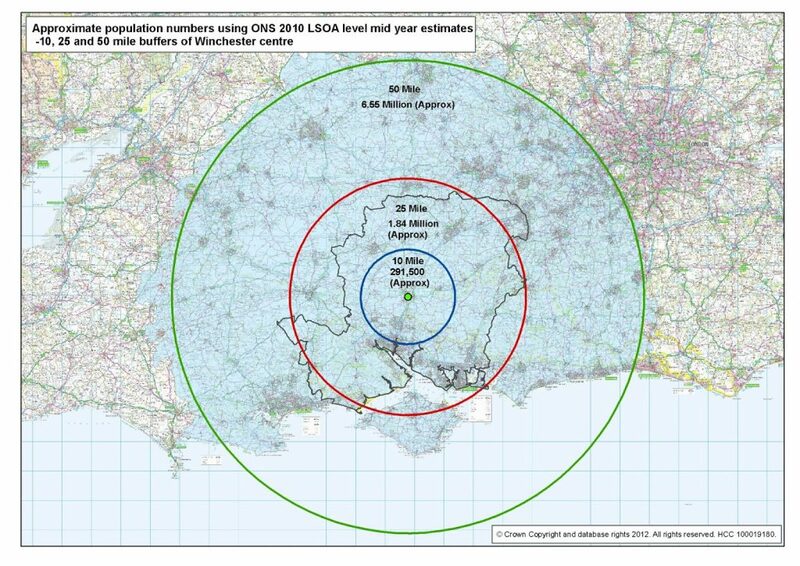 I’m most interested in numbers within 25 miles of Winchester, as that covers the majority of the county. I recorded the numbers in a Google spreadsheet, and produced some charts, a few of which are included in this post. I plan to re-jig (technical term) the spreadsheet so it’s better organised, and repeat the exercise in a month. If it looks worth continuing after that, I’ll automate the process, as it’s pretty laborious (and not really how I like to spend my weekends). I reckon something like Scraperwiki should be able to handle the automation, although I’d really welcome any suggestions on how best to do it. The second chart shows small business owners in the same area. This is obviously dependent on people saying saying in Facebook that they own a small business, so the numbers do need to be taken with a pinch of salt. The third and last chart is a good example of some of the difficulties encountered when trying to make sense of the numbers. A quick comparison between the number of Facebook users within 10 miles of Winchester and population estimates for the same area suggests there are MORE Facebook users for some age groups than there are people in the area! A possible explanation is that population estimates are based on a static address, and people actually move around a great deal, posting updates in Facebook as they go. This theory seems to be supported when comparing the lines on the chart for mobile and total Facebook usage. I’m already late posting this for WeeklyBlogClub, and had to invoke the squidgy deadline this week. I can also smell my supper burning, so I’ll sign off at this point. If you’ve made it this far, thank you for persevering. If you have any thoughts or suggestions, links to material etc I’d be really grateful if you would leave a comment. * According to the figures I collected, there are just over 700,000 Facebook users within 25 miles of Winchester and just over 1.5 million within 50 miles.